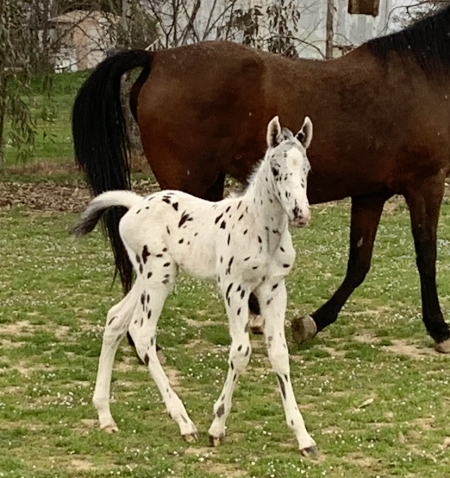 Nice Colored Leopard Colt. Bloodlines include Vision Maker, Wap Spotted, Hi Tech Cowboy, DreamFinder,Chocklate Confetti. The Appaloosa is an American breed of horse that is most known for their unique and colorful spotting in the coat. Their striking features have caught the eye of horse enthusiasts for hundreds of years, and their hardy dependability has made them an excellent mount. 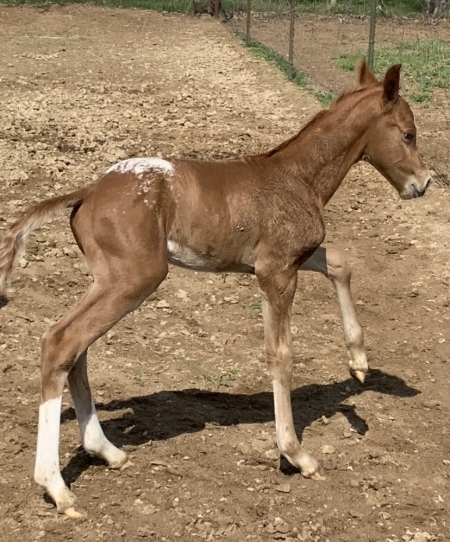 Continue reading for more information on the Appaloosa horse. While the breed can be generally characterized by spotting in the coat, referred to as "leopard" spotting, each Appaloosa's coat is unique. Appaloosa's coats are not limited only to spots; in fact, in some cases, Appaloosa's may not even have a single spot or marking at all. Some Appaloosas are completely one base color. Spots and other markings are based on an accumulation of genetics. 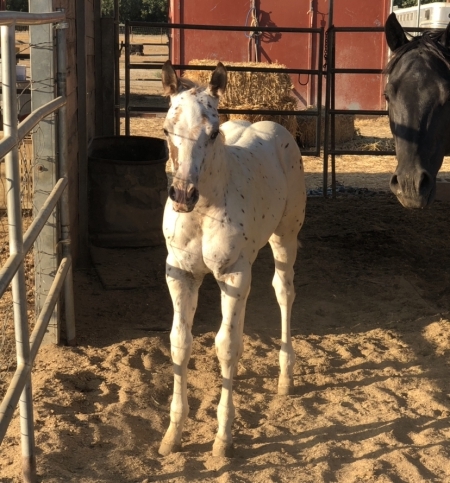 In the case that the horse has no markings and the horse's breed needs to be verified, blood tests will be done to confirm that the horse is, in fact, Appaloosa. 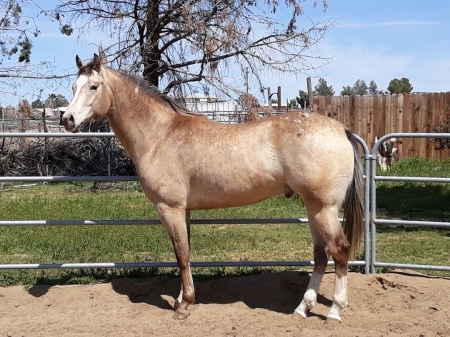 The breed has no specific body type, but they are often cross-bred with Quarter Horses for better performance in Western disciplines, leading to a stocky and more muscular stature. They usually stand anywhere from 14 to 15 hands at the tallest. 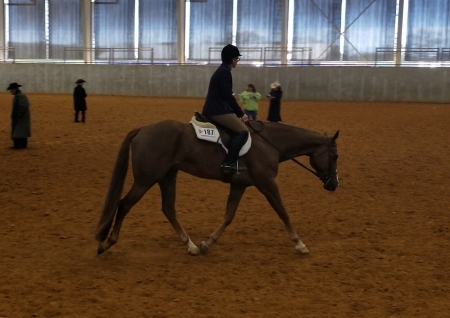 The breed is generally easy to keep and not prone to lameness. The sclera-the white region in the eye surrounding the iris- is visible, a trait unique to the Appaloosa breed. In addition to being versatile in the way that they can be used, Appaloosas are well-known to be docile, friendly, and reliable horses, so it is no mystery that the Appaloosa registry is the third largest in the world. The Appaloosa breed was first developed by the Nez Perce tribe in northwest America, near the Palouse River area. 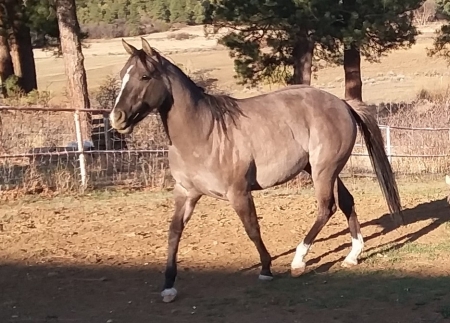 The breed's name stems from the region's name; they were originally referred to as "Palouse River Horses", which over time developed in to "Appaloosa". In the 1870s, when the United States government began making attempts to overtake the Nez Perce lands, the breed was nearly wiped out of existence. It was not until 1938 that the Appaloosa Horse Club was established to both celebrate the breed, as well as to secure the breed's future. 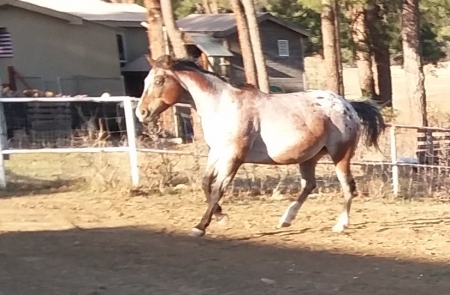 Since then, the Appaloosa horse has made a massive comeback, and has become one of the world's favorite horse breeds; in fact, in 1975, the Appaloosa was named the state horse of Idaho. In the days of the Nez Perce tribe, the Appaloosa horse was used as a means of traveling long distances, hunting, and for battle. 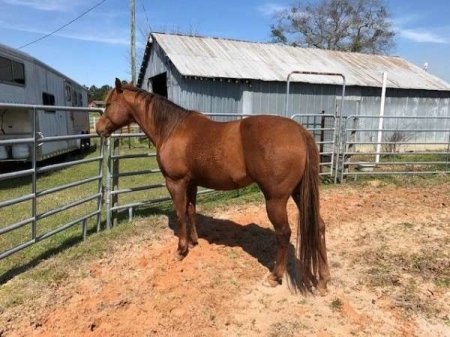 In modern times, while the breed is used in both English and Western disciplines, they are most popular with Western riders for cattle roping, barrel racing, and general pleasure riding. Their gentle, friendly, and loyal disposition makes them an excellent choice for riders of any age, discipline, or skill level. Appaloosa horses are perfect for those that seek a reliable, hardy, intelligent, and versatile equine companion. They are a vital part of American equine history due to their stunning looks and undeniable versatility and reliability for riders throughout the centuries.